We at Record Union would like to welcome all MusicBase users to bring their music catalog to our distribution service. MusicBase will send all its users a $25 USD discount code via email. This discount will cover one year of music distribution in all the key music services all around the world and gives you the benefit of all opportunities that Record Union offer its artists. This article will give you all the essential information for making this catalog migration as smooth as possible. HOW TO KEEP MY STREAMING DATA ON SPOTIFY? When uploading your music with us, just make sure that you use the exact same metadata (ISRC, titles, artist name and WAV files) that was uploaded with MusicBase. This way, you will keep all the data regarding your numbers of streams and downloads attached to your music. WHAT SHOULD I SET AS RELEASE DATE? MusicBase will turn off its operation on 31st December. Therefore, we suggest you set your release date to 1st January 2017 to ensure there won't be a period of time when your music is offline. 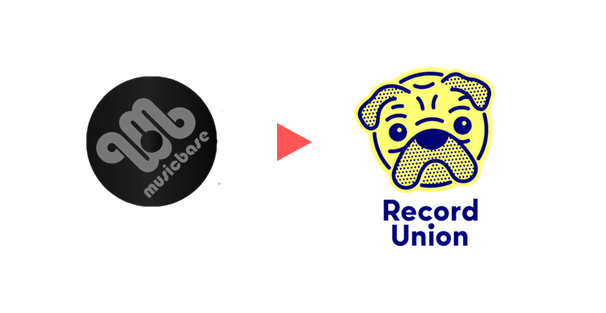 HOW MUCH TIME IN ADVANCE SHOULD I PUBLISH MY RELEASE WITH RECORD UNION? We strongly advise you to make this release with at least two weeks antecedence. Notice that during December, the delivery times may be longer than usual due to holiday period. 1 - You will get monthly payments from us for royalties you generate on Spotify, iTunes, etc. 3 - There is a knowledge base which answers pretty much everything – feel free to click around if you have any questions and answers should be found! 5 - We have a recording studio at our HQ and we like to do lots of nice events and meetups with our artists. You can watch some videos here.